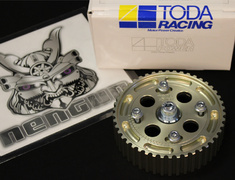 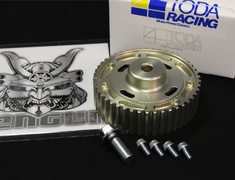 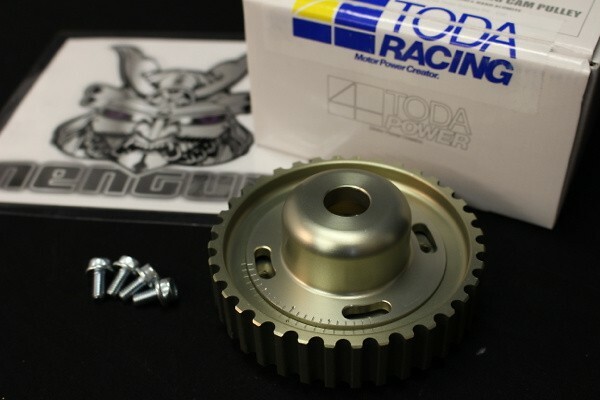 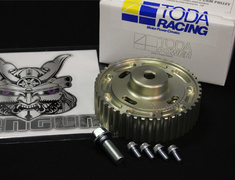 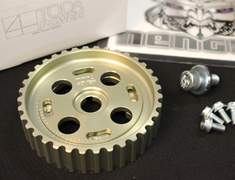 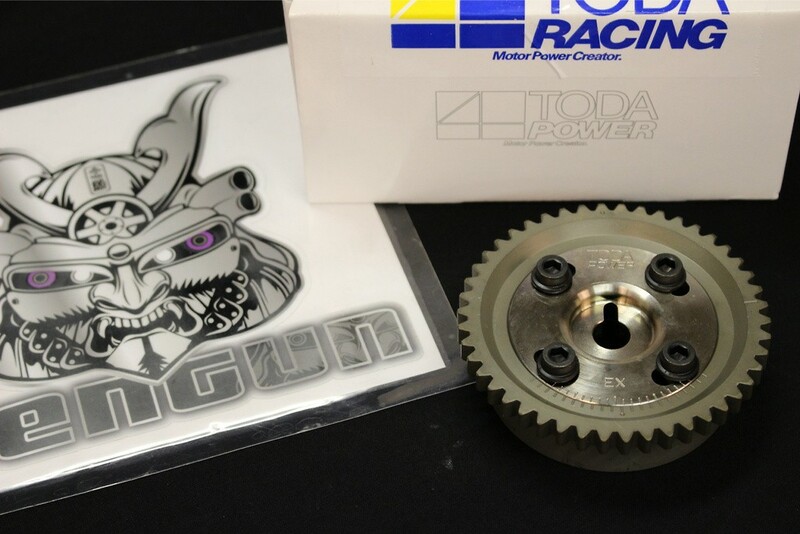 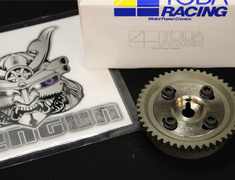 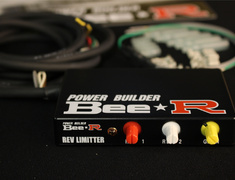 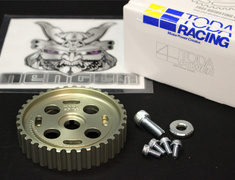 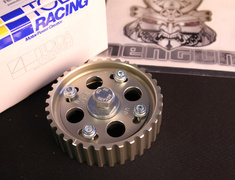 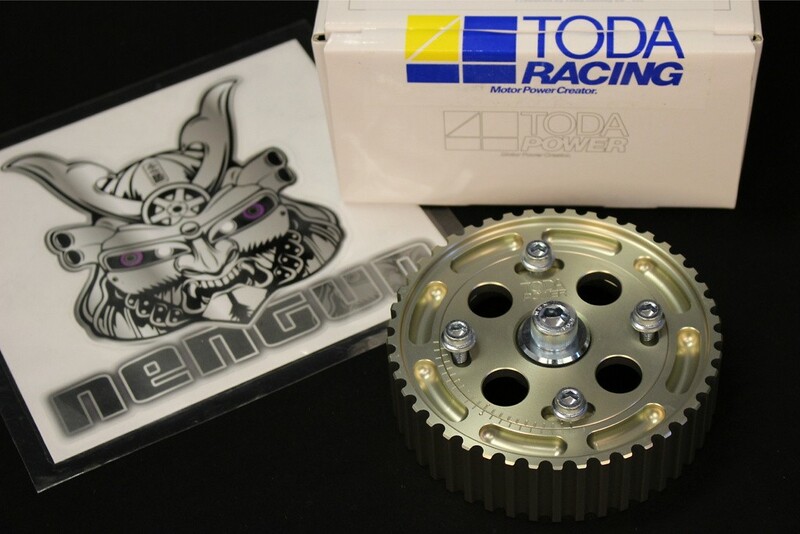 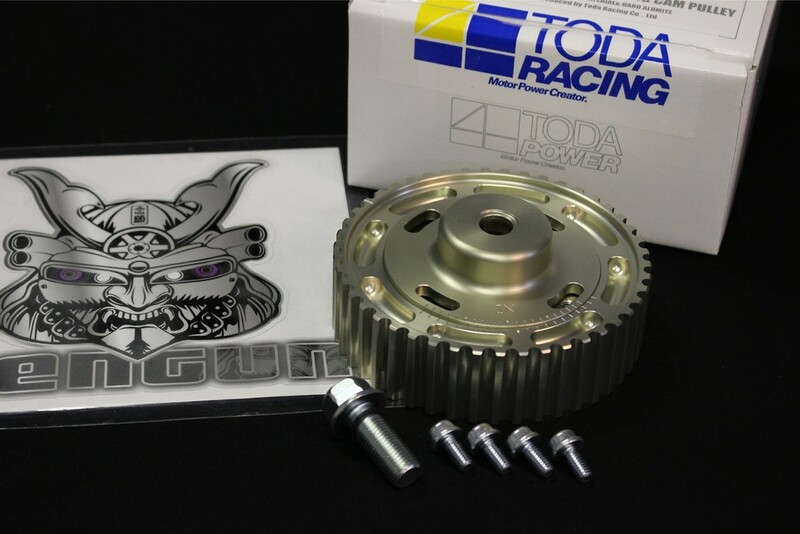 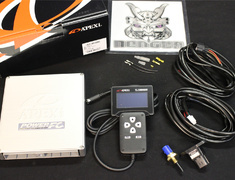 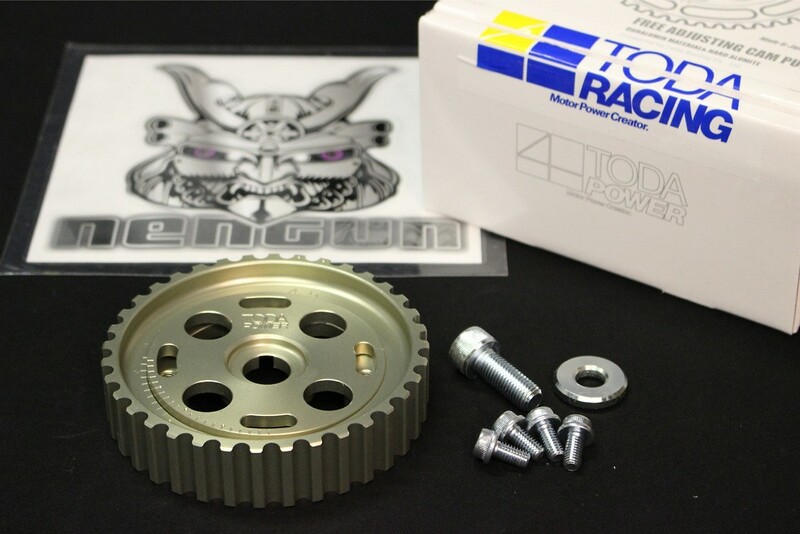 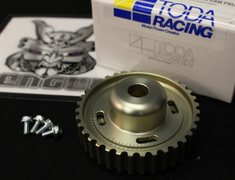 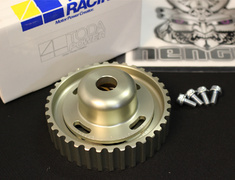 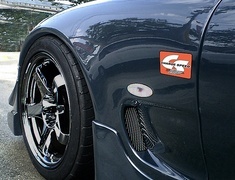 TODA Racing cam pulley allow precise tuning of camshaft timing. 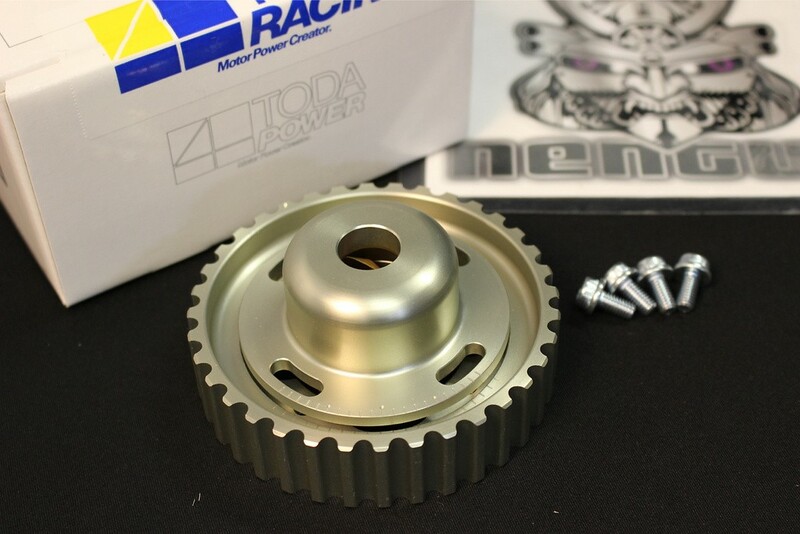 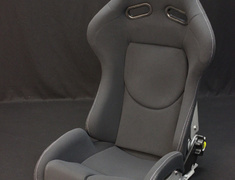 Adjustable campulleys are essential when using Toda Camshafts. 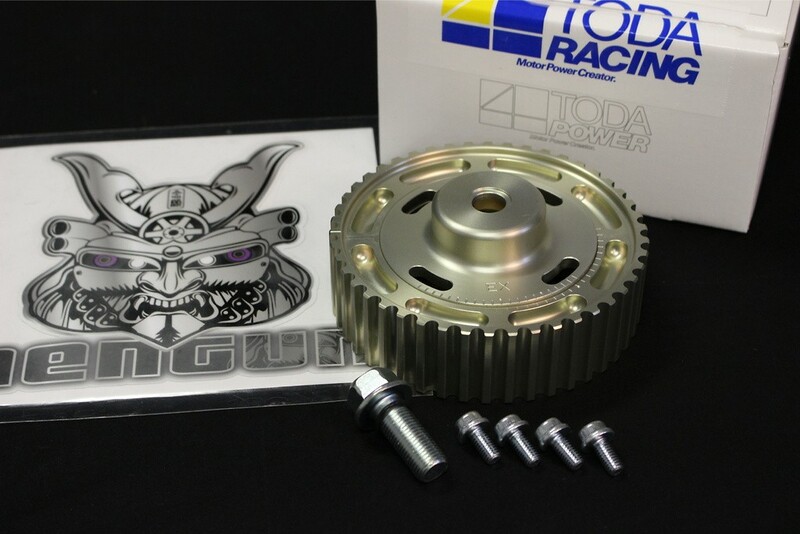 TODA Racing cam pulley allow precise tuning of camshaft timing. 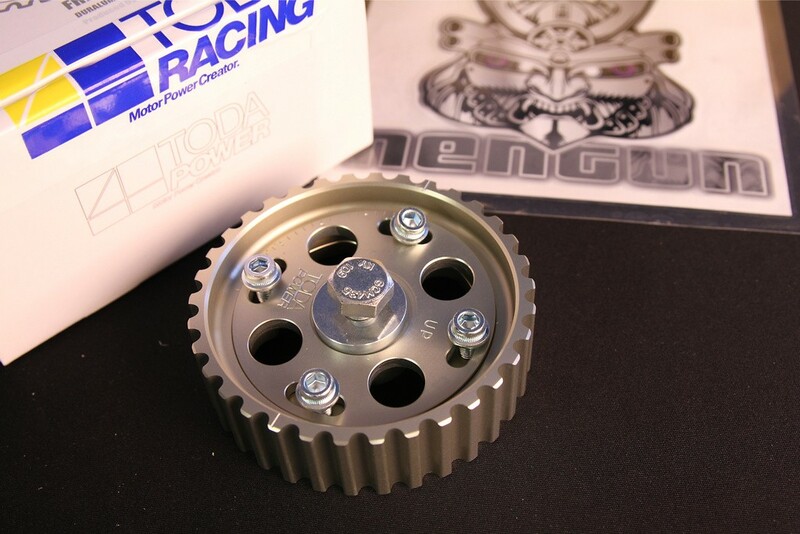 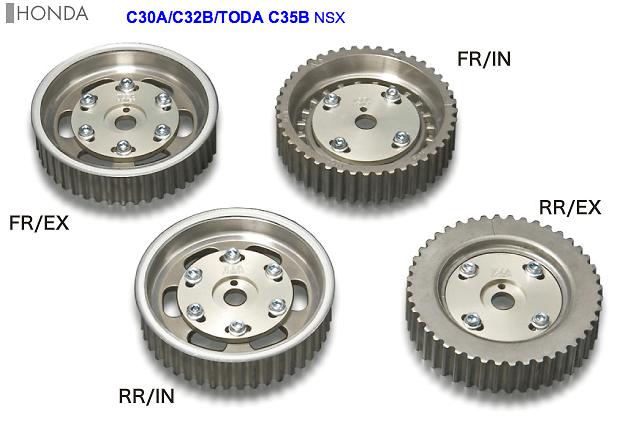 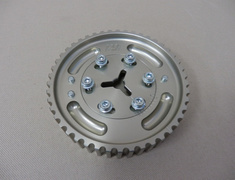 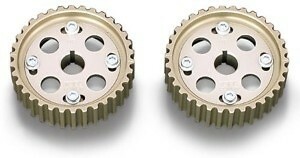 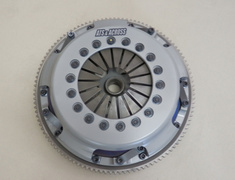 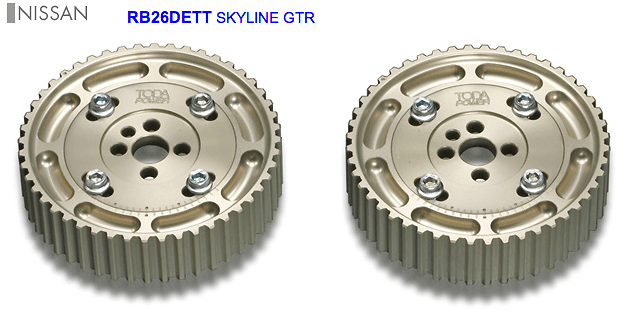 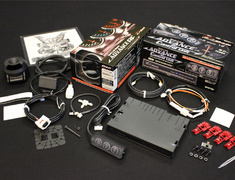 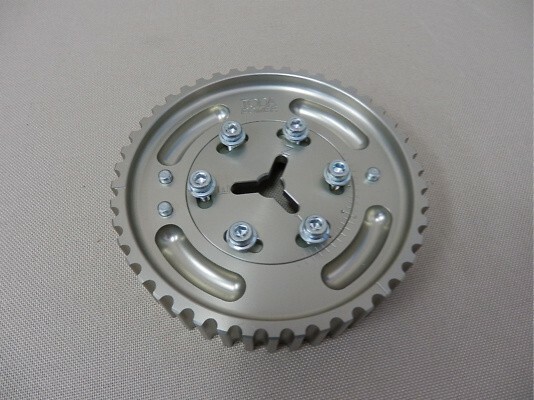 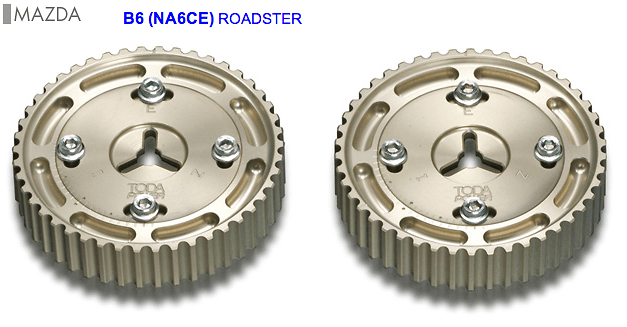 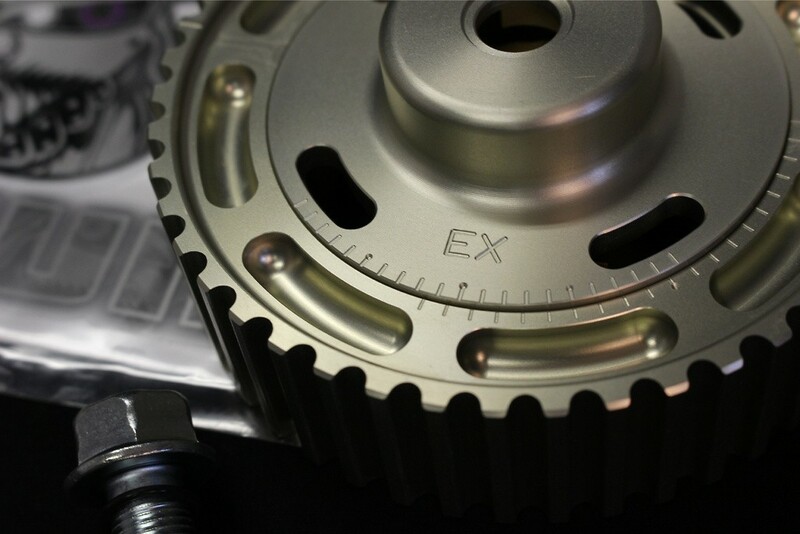 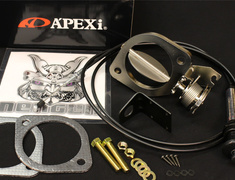 Adjustable cam pulley are essential when using Toda Camshafts or any non-stock performance camshaft. 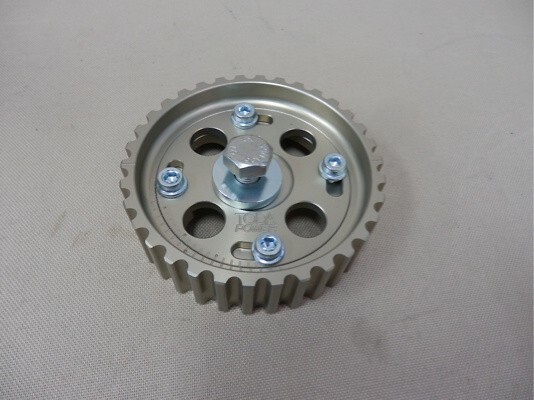 Some aftermarket cam pulley use connecting bolts that are not compatible with TODA camshafts. 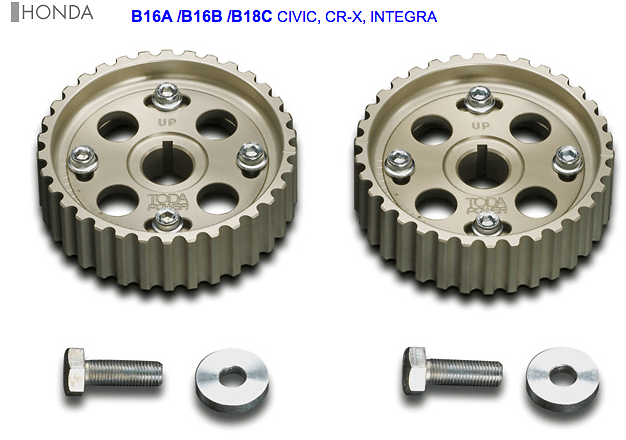 The use of these bolts could damage the TODA camshafts. 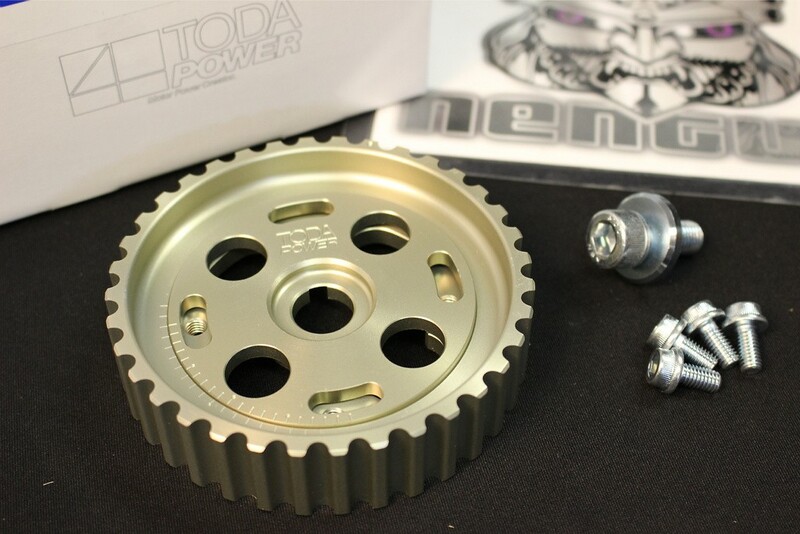 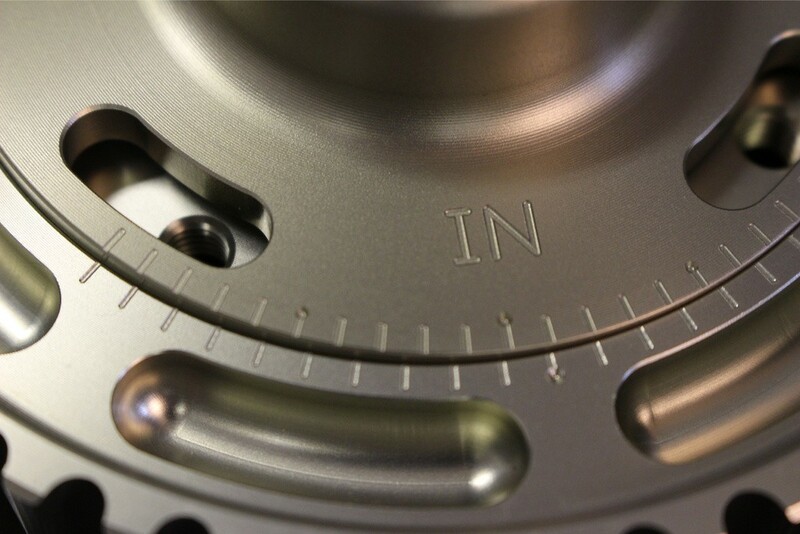 If you plan to use TODA camshafts, Toda only recommend using TODA cam pulley to prevent damage to the camshafts. 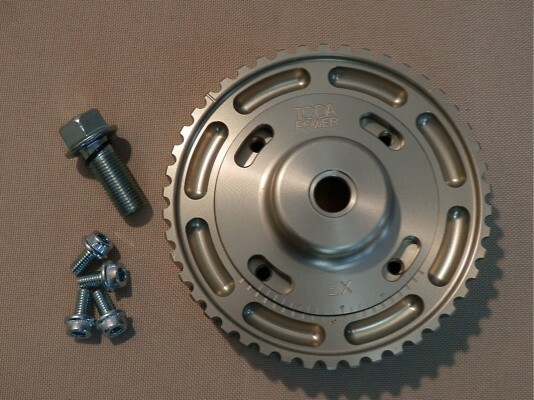 This part usually ships 7 days after payment.